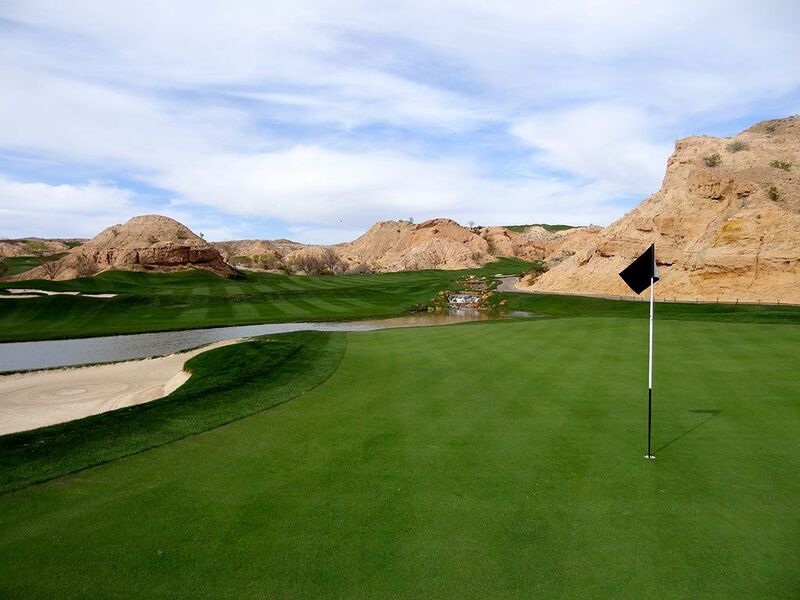 Course Website: Official Website - Visit Wolf Creek Golf Club's official website by clicking on the link provided. 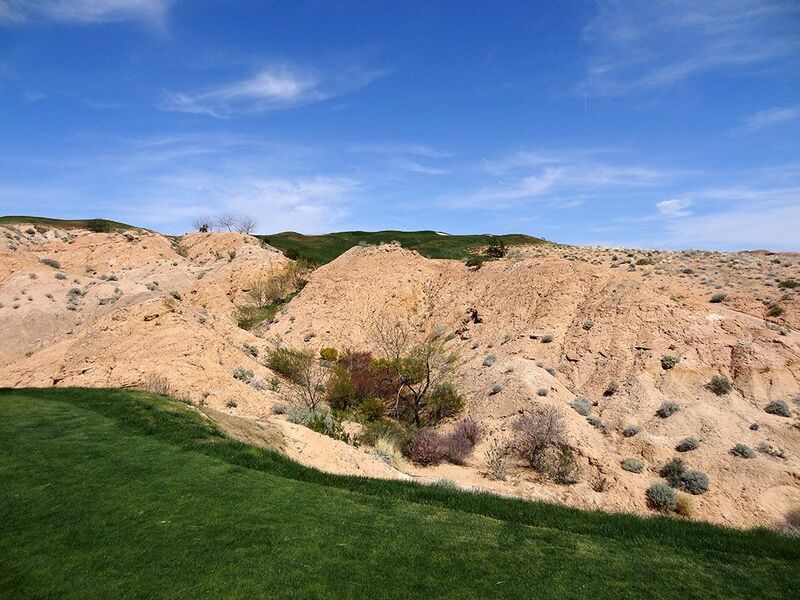 Accolades: Ranked 2nd in Nevada on Golf Course Gurus' Best in State list. What to Expect: Wow, wow, wow. 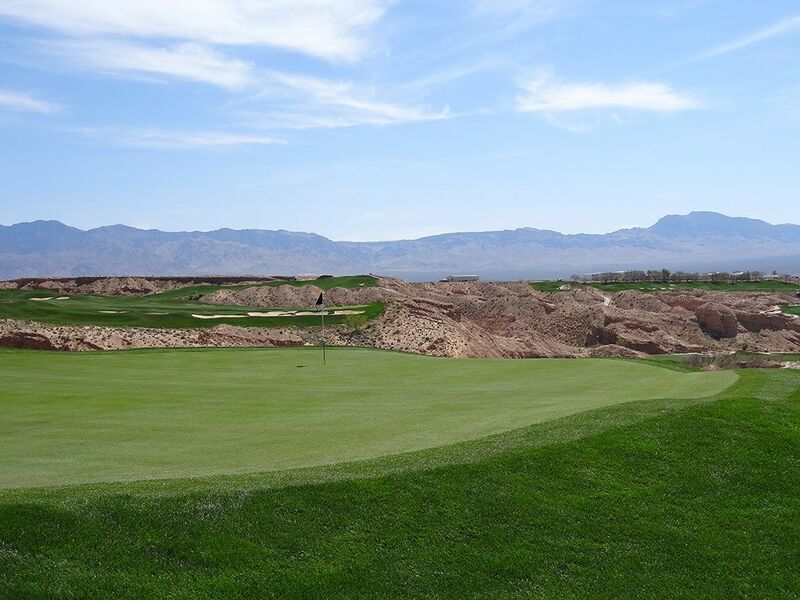 If you looked up the definition of "Wow Factor" in a golf dictionary you are sure to find several photos of the Wolf Creek Golf Club in Mesquite, Nevada. 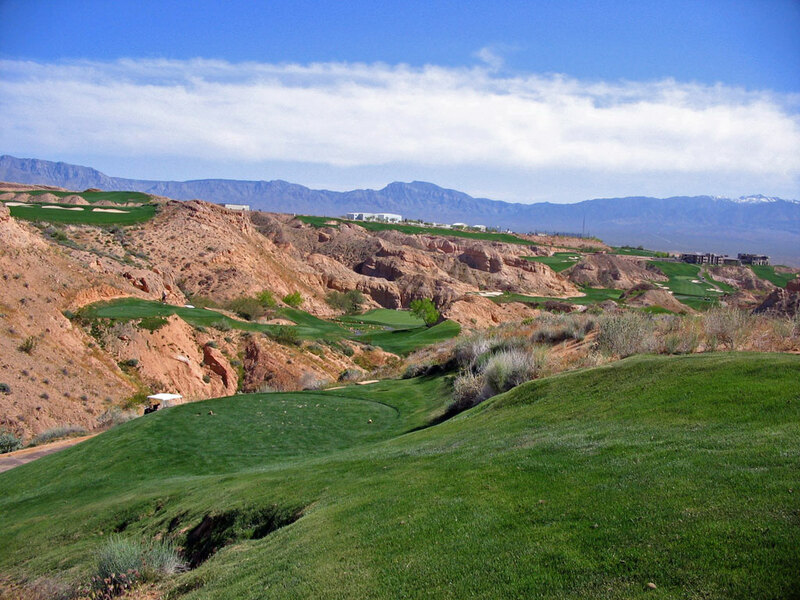 This spectacular course looks like a fantasy course designed for a video game with huge forced carries, stunning arroyos, brilliant white bunkers, attractive water features, and some of the best views Nevada offers. 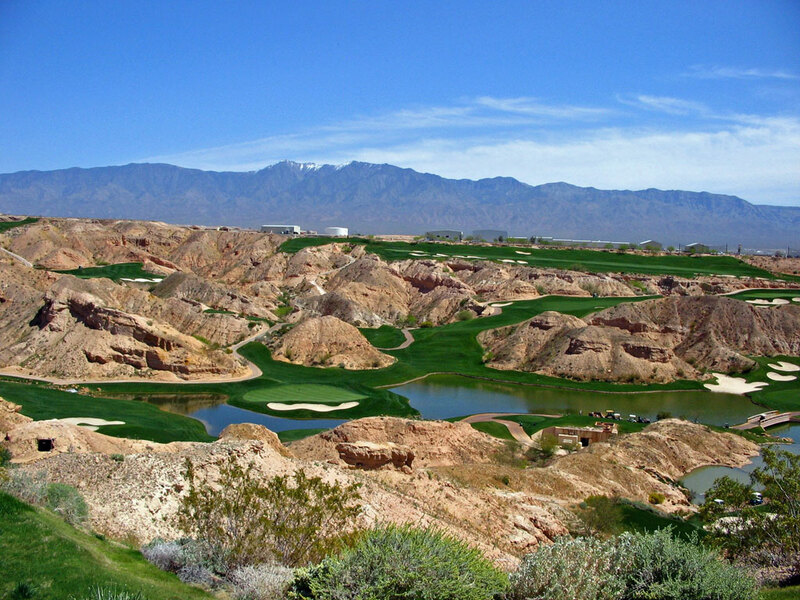 In fact, Wolf Creek could probably make a sizeable amount of money charging admission to spectators looking to simply drive through the course like a national park. 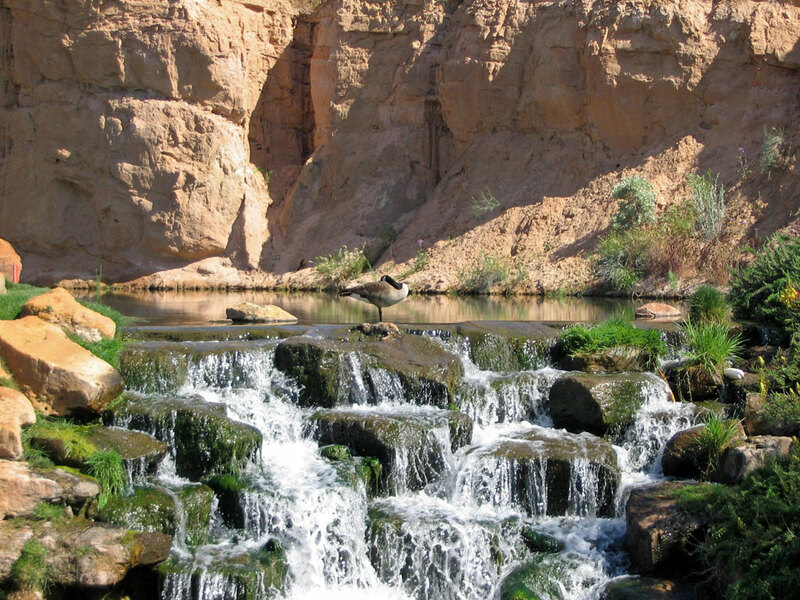 The course features gas powered carts and plenty of speed bumbs on the cart paths to handle the extreme terrain Wolf Creek is carved through and caution should be taken while driving. 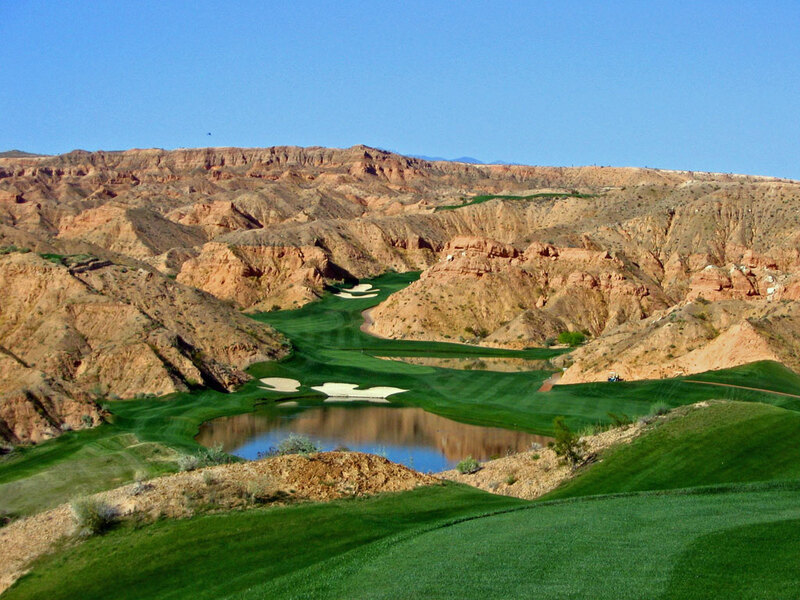 Without question, Wolf Creek enjoys some of the most spectacular holes in Nevada and even the nation. However, there are also a few holes that are head scratchers and hold it back a bit. In the end, Wolf Creek will "wow" you - guaranteed. 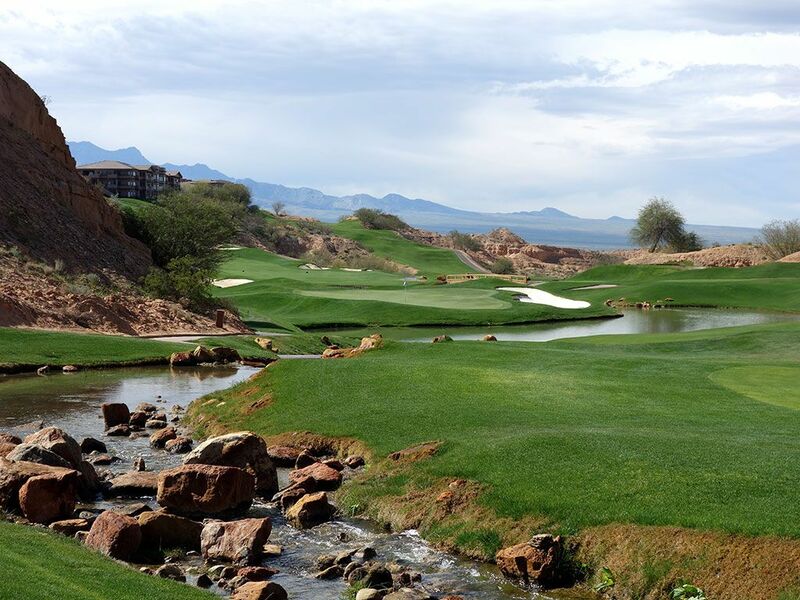 Signature Hole: 12th Hole – 560 Yard Par – I have to admit that I roll my eyes whenever I here some golf course declare, "At our course there are 18th signature holes, not just one." Blah, blah, blah. But never has that statement been closer to reality than at Wolf Creek. At virtually every tee box golfers will step up onto the tee box and declare, "Wow!" 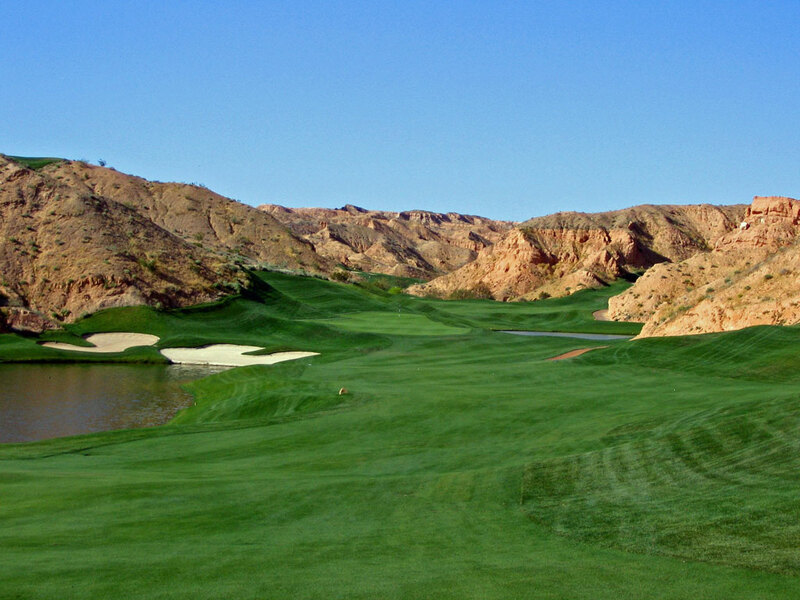 There are several favorite holes at Wolf Creek that could qualify as the signature; holes like #2, #5, #8, #12, #14, and #17 come to mind. However, if I had to pick just one it would be the 12th. 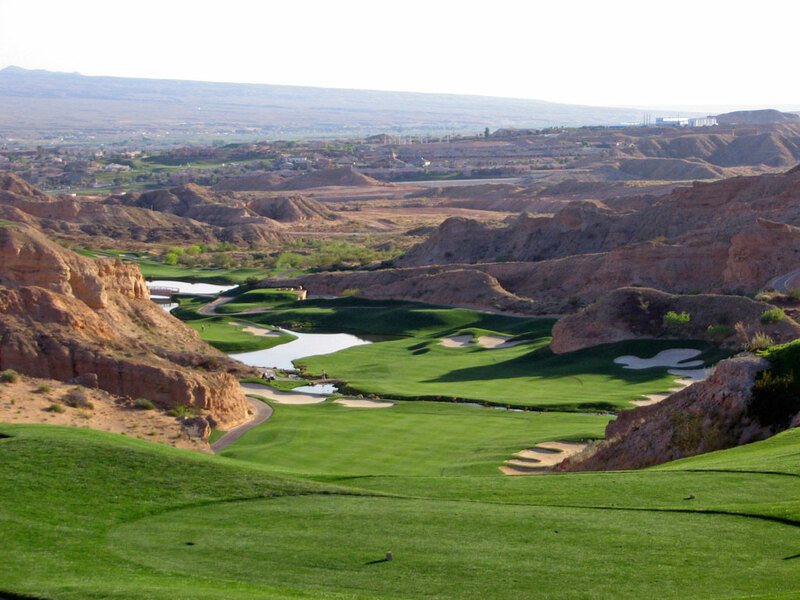 The back nine is the better side at Wolf Creek and the 12th kicks off an impressive stretch of holes and vistas. 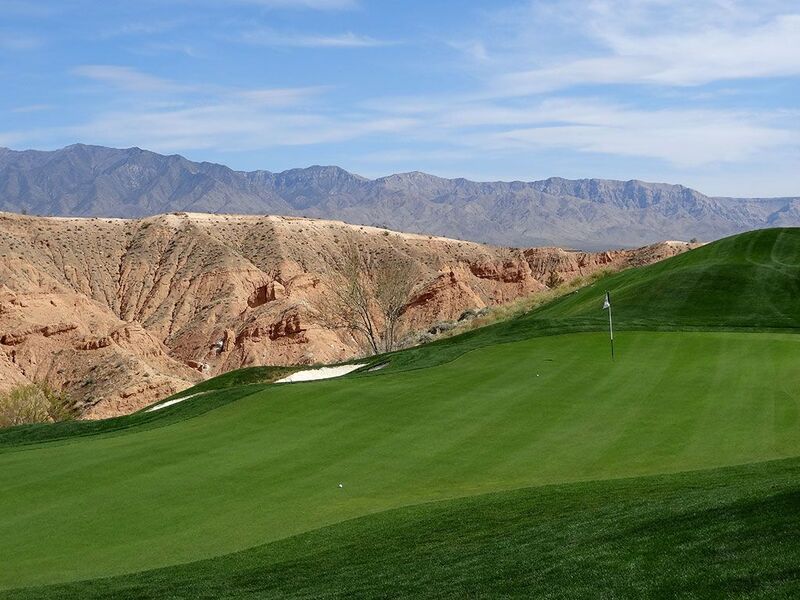 The elevated tee offers panoramic views of many holes at Wolf Creek and is worth the price of admission on its own, but playing this hole is even more fun. A nearly 100 foot tumble in elevation is experienced from tee to green and sets up a towering drive where the biggest fear is reaching the pond on the left side of the landing zone. Players that find the fairway will have a shot at reaching this green in two since the drive should provide up to 50 extra yards of carry and roll. The approach shot plays to a green that is more narrow than wide and features water short left and another pond long right. Every shot is fun on this hole which begs for you to play it again and again. 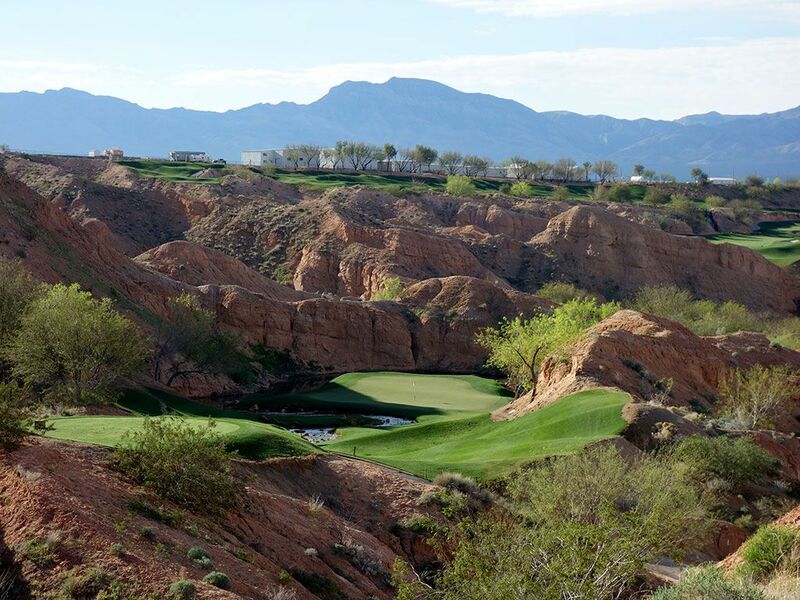 Best Par 3: 8th Hole – 248 Yards – This hole epitomizes everything that Wolf Creek represents; difficult and beautiful. A creek comes into the hole from the left and runs to the front of the green before wrapping around to the left and behind the green where it waterfalls and heads off to the 9th hole. From the tee it doesn't look like there is any forgiveness outside of the putting service, but there actually is some unviewable room to the right of the green. It is a long, spectacular hole with a gorgeous green site that is a ton of fun to play from the white tees but brusing from the black tees. 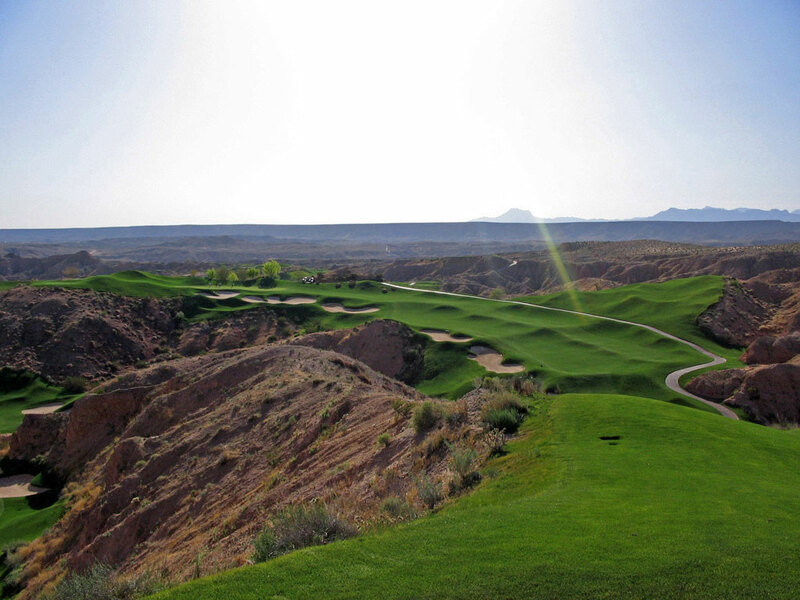 Best Par 4: 14th Hole – 444 Yards – Welcome to the most photographed hole at Wolf Creek and one of my favorite par fours in the West. This swooping right to left hole capes along top the Mesquite desert and features a series of six bunkers that hug the inside of the dogleg. Anything left of the fairway is virtually guaranteed to produce no better than a bogey and the further right you can be of the vertebrae humps in the fairway the better angle you have at the green and thus chance at par. A great visual hole that is fun and challenging to play. 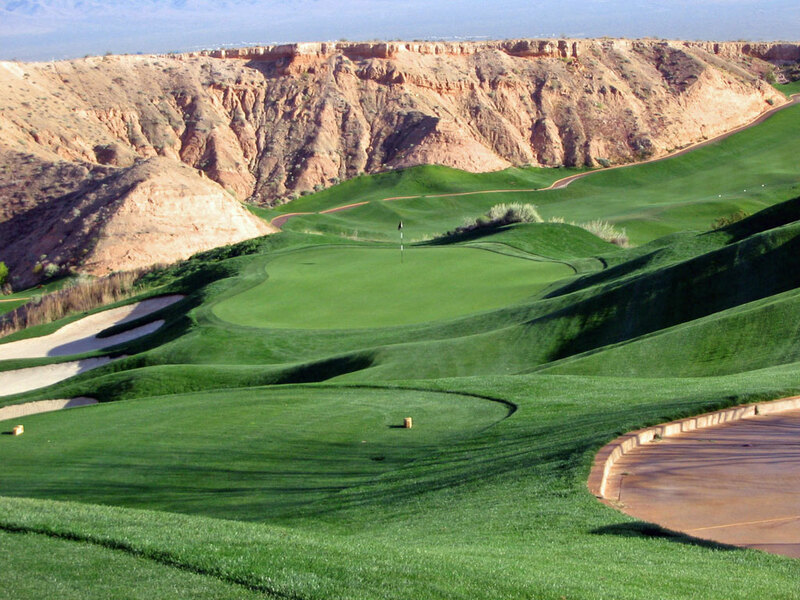 Best Par 5: 17th Hole – 562 Yards – The final par five at Wolf Creek embraces everything that makes Wolf Creek great; big elevation changes, stunning views, and a dramatic hole design. This excellent risk/reward hole tests players going for the green in two by requiring players to hit a towering approach shot over a river to a peninsula green. 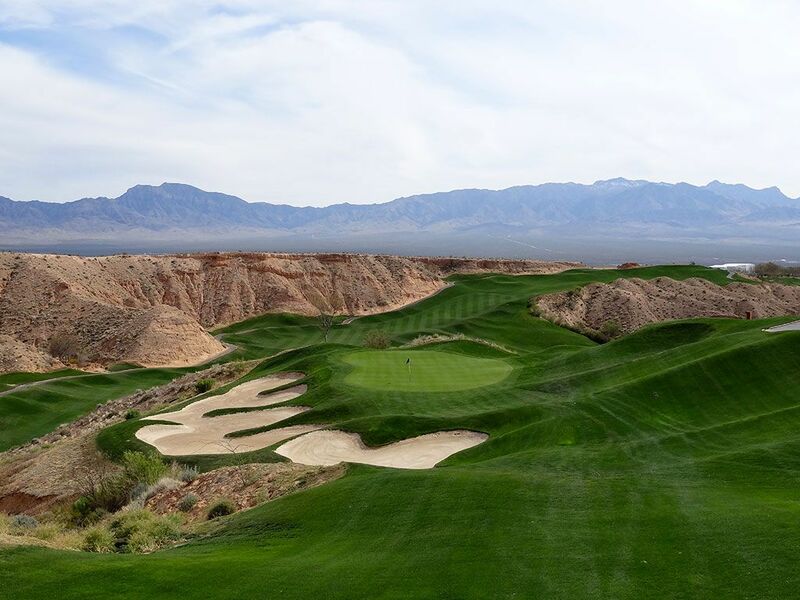 Eight bunkers are scattered throughout hole that plays from an elevated tee down through a chute between the natural Nevada mountains and is not only a sight to be seen, but one to be played. Birdie Time: 15th Hole – 125 Yard Par – With a slope of 154 from the tips, it is obvious that there aren't many easy holes at Wolf Creek. But the course lets up for a brief moment at the 15th and you better take advantage of it. With a guaranteed perfect lie from the tee box and a wedge in your hand there is virtually no excuse to miss this green. So knock it close and roll in your birdie putt. 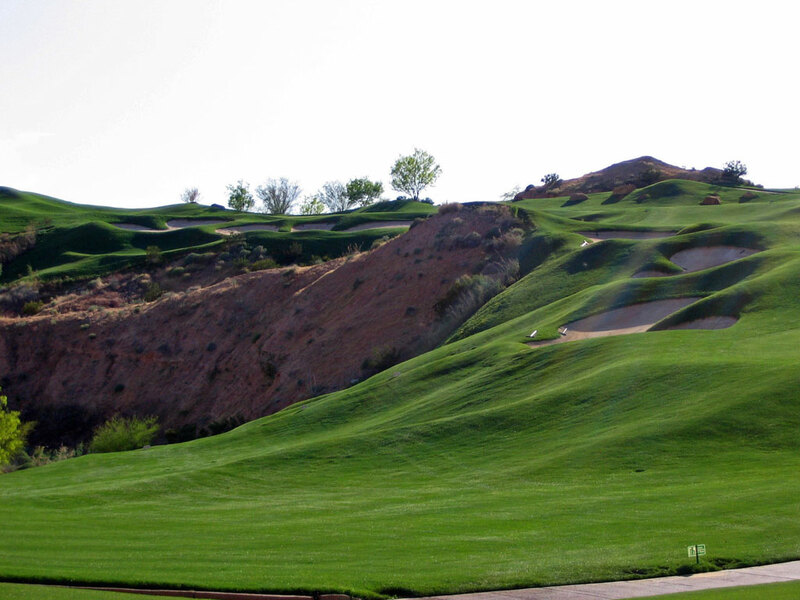 Bogey Beware: 3rd Hole – 227 Yard Par – I've played plenty of difficult holes, but none that are quite as crazy as the 3rd hole at Wolf Creek. 227 yards is a solid length par three, but when you need the loft of an 8-iron and the distance of a 5-wood to reach a green you can't really see you almost don't know what to do, especially since there isn't a layup area. To add to the misery, there are three bunkers surrounding the difficult green. Par isn't a good score here, it is flat out phenomenal! Frankly, this hole needs blown up and redone to make playable for more skill levels.